Before I begin, I’d like to announce proudly that this is the biggest cake I have ever made! I was requested by my great friend Sally for her 30th birthday weekend celebration, and she asked for these precise flavourings. 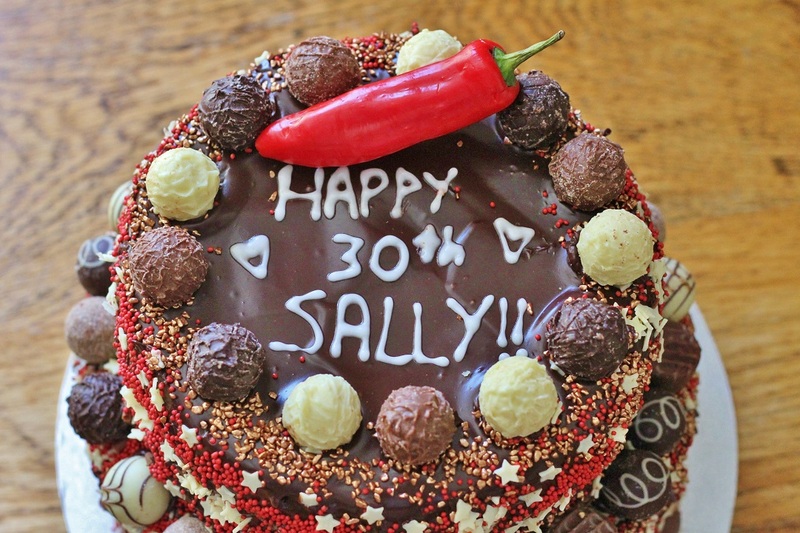 Chocolate, tick, chilli, tick, cinnamon…what?! We’ll excuse her as shes’ spent a lot of time in South America, puts chilli in EVERYTHING and wanted something a bit different. 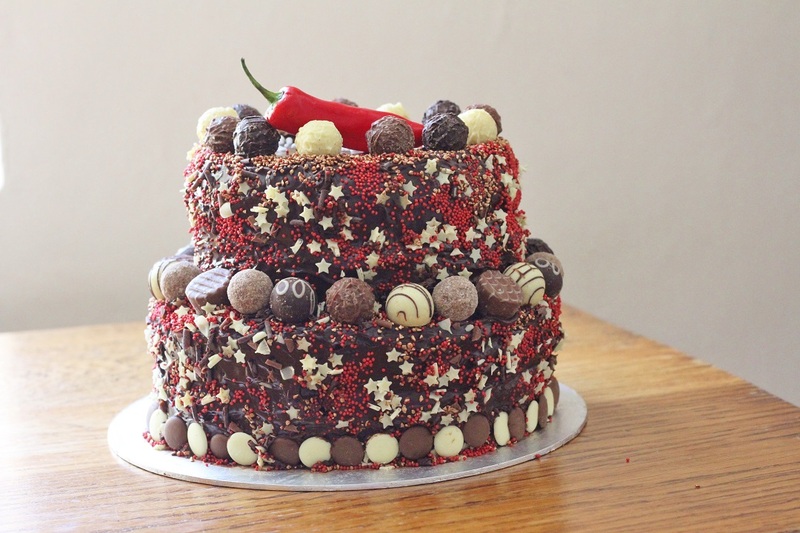 could I find a chocolate chilli cinnamon cake recipe anywhere online?! Nope! 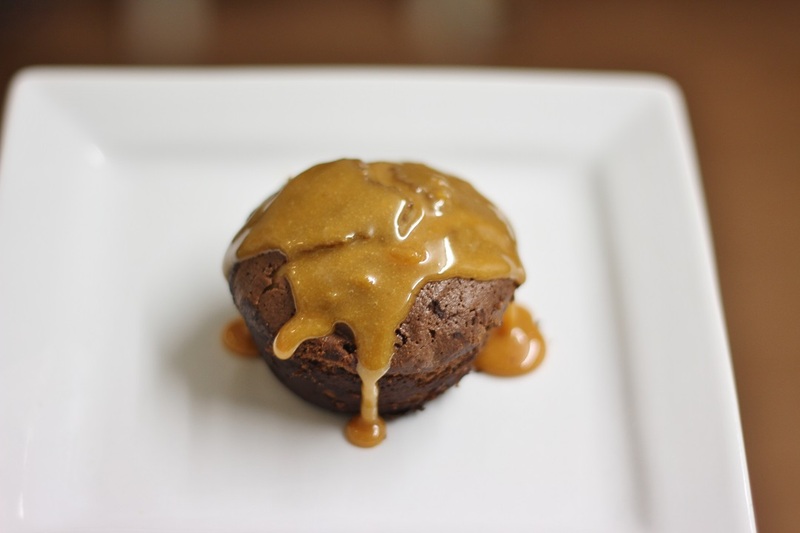 So this recipe is an adaption from a similar one I found online. I actually had to buy new tins it was so big. The bottom two layers were 25cm tins and the top two were 22cm tins. I actually multiplied the below recipe by three to get enough mixture, and baked each layer in batches (as I only had one tin of each size!!) 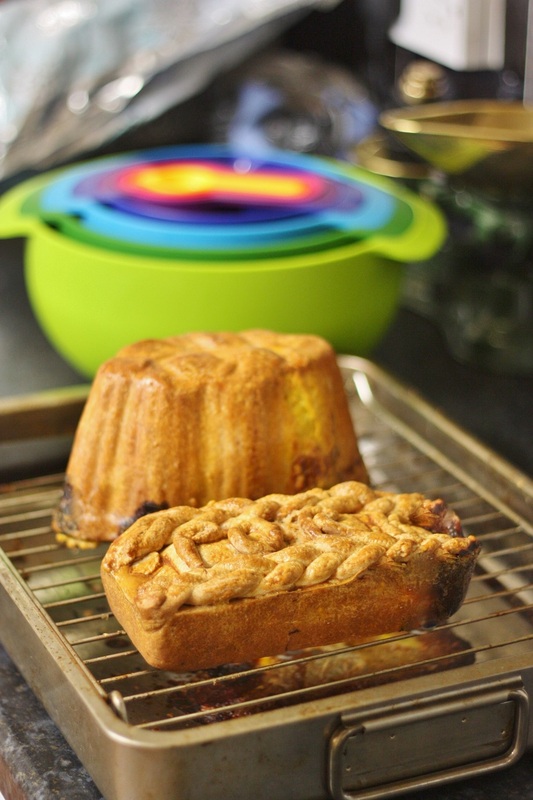 but for the sake of a normal persons sized cake rather than one to feed forty, two 15cm tins will suffice! I also adapted the recipe from The Happy Foodie as her cake looked great and would be really moist because of the cream. Though she recommends ground almonds, and in the trial I made it was very crumbly, so I substituted them for more flour instead. Obviously, there was also the addition of cinnamon too (hence chocolate chilli cinnamon cake), and I make my ganache slightly differently as well. All the cream basically. Terrible for the waistline, deliciously devilish to eat! The prep – grease two 15cm-round sandwich cake tins using some butter and if you fancy it, a sprinkle of flour. Preheat the oven to 170°C/150°C fan oven/325°F/gas mark 3½. Cream the butter and sugar together in a bowl until fluffy. Beat in the eggs. I usually use my electric whisk or standing mixer. Stir in the cool melted chocolate, then sift over the flour, baking powder, cocoa, chilli, and cinnamon. 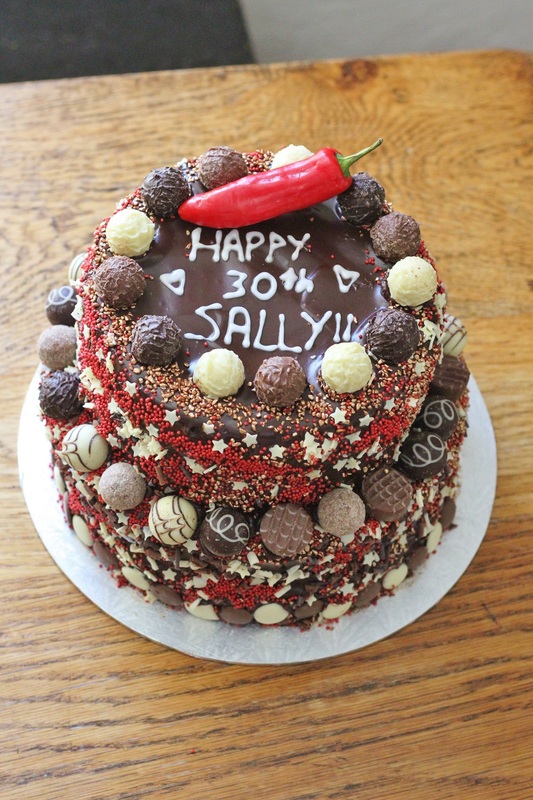 If you want it hotter, add a little more chilli, though if your ganache is chilli chocolate, you’d be advised to tone down the chilli in the cake! Fold carefully into the chocolatey mixture. Finally, fold in the whipped cream. Divide the mixture evenly between the sandwich tins. Bake for about 20 minutes, or until the top feels bouncy when touched lightly. 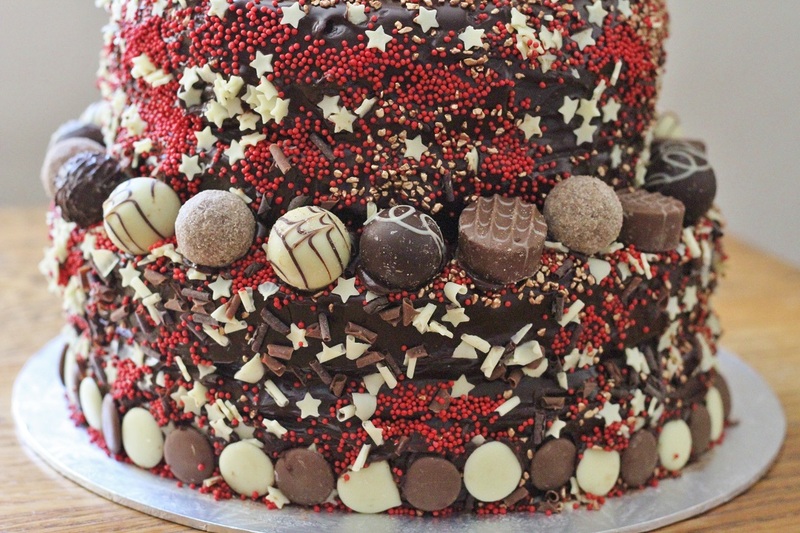 Make the ganache whilst the cake is cooling, but don’t try and swipe it on until the cake is completely cool. 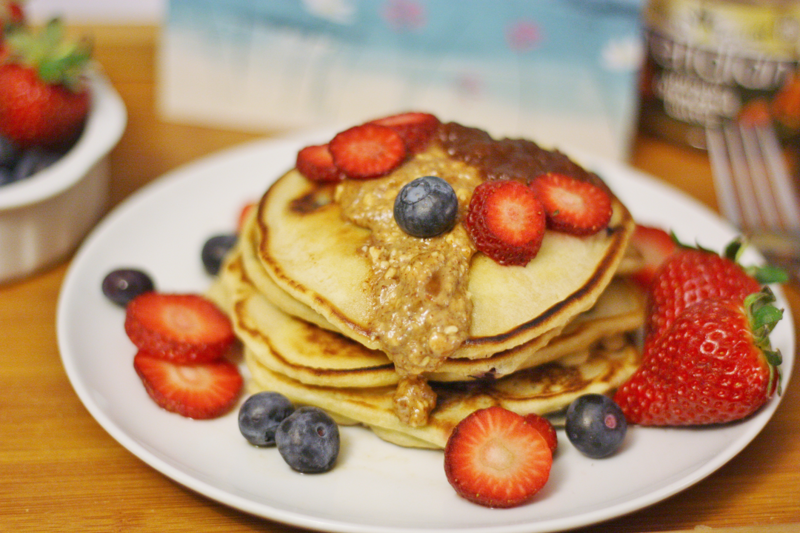 You’ll end up with a melted mess, trust me! Break the chocolate into pieces and put into a medium glass bowl. Then, in a heavy bottomed pan, heat the cream until just starting to boil (but not actually bubbling). Pour your hot cream on top of the chocolate, count to twenty, then whisk the cream and chocolate together. Initially it will look like it’s never going to work, but then it will all come together in a big bowl of deliciousness. Once the cake is cool you can spread the ganache still warm, or let it cool down a bit if you want it thicker. If you want it really thick and fluffy like buttercream, wait for it to cool completely then whisk it with your electric whiskers. Use half to fill the cake and the other half to top the cake. 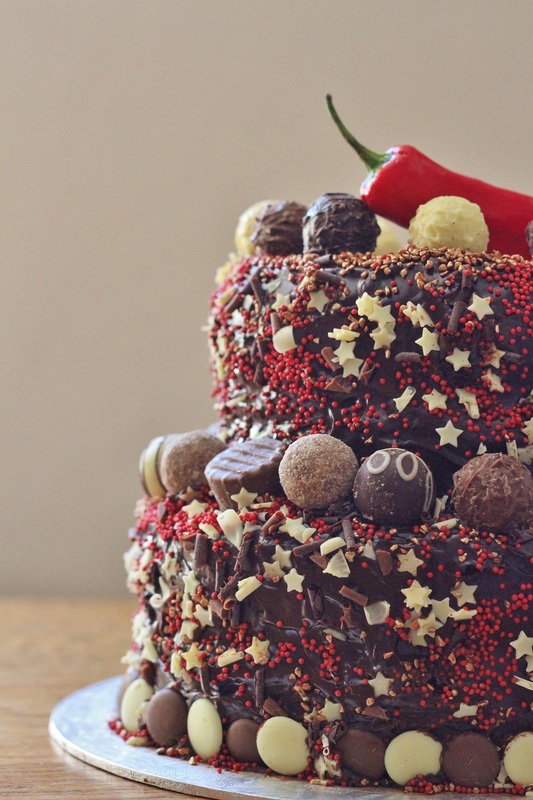 Top with sprinkles of your choice, additional chocolates (if you’re feeling fancy) and chocolate buttons. Then write a message if you like, and top with a while clean red chilli. I hadn’t necessarily intended on decorating the cake as it ended up, but with the help of Sally’s niece and nephew who are age 3 and 5, as Thomas described “it looks like a firework” and actually, I really loved the final effect! Who knew four whole pots of sprinkles thrown haphazardly at a sticky cake could turn out quite so artistically fun. We had such a fun afternoon decorating it, I honestly wouldn’t have wanted to make it any other way!! 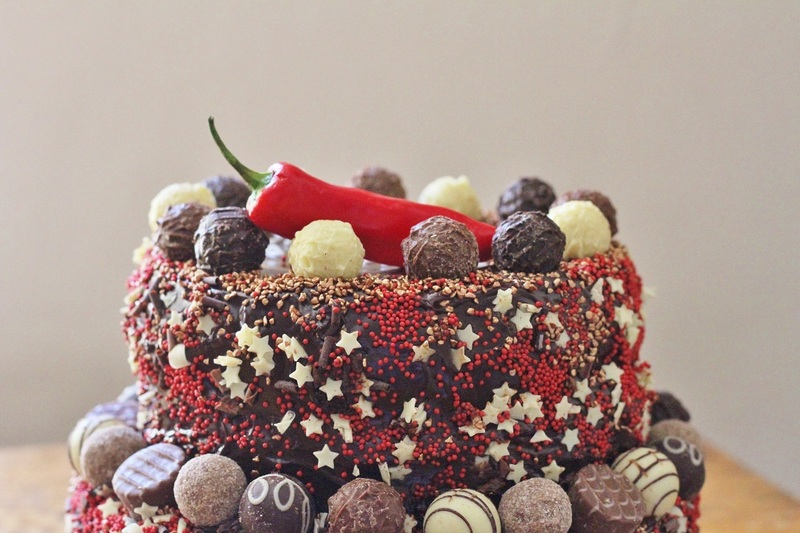 The chocolate chilli cinnamon was certainly a combination I enjoyed, and its a wonderfully luxurious cake to bake. One for a celebration I think!